Conker collecting has encouraged many a stick to be thrown into a Horse Chestnut tree. The candle or flower heads are even more spectacular than the crop of conkers that they give birth too. Planted in temperate zones as an ornamental specimen. Distilled the conkers make acetone. The seed extracts were used for fulling cloth and whitening hemp, flax, silk and wool. Herbally used to treat varicose veins and haemorrhoids. Used along avenues, parks and in churchyards. 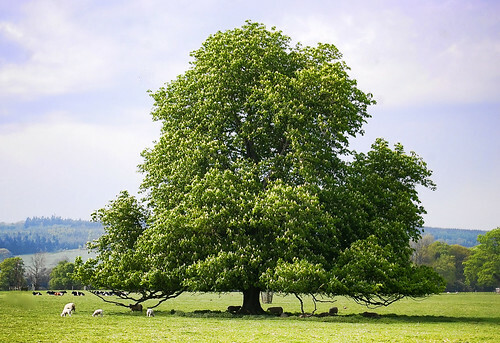 Horse Chestnuts can make large bonsai. Texas, californian and other american buckeye or Aesculus species. 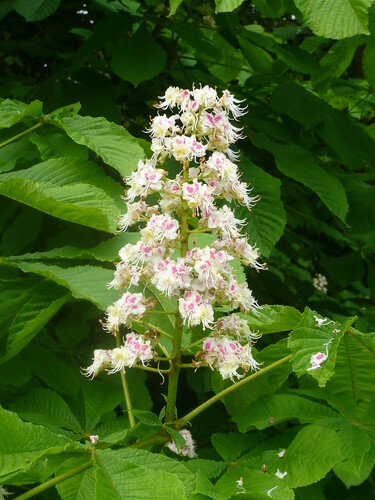 Aesculus × carnea the red horse chestnut. The fruits of this tree vaguely resemble those of the (Sweet) Chestnut tree but they are not related. They develop in prickly cases, and are ripe in September and October – the ‘conker’ season. 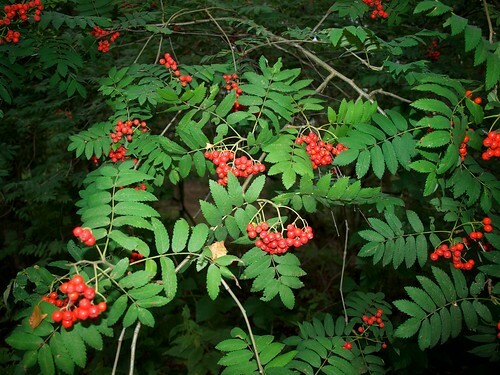 The Rowan or Mountain Ash is a member of the same family as the rose and is part of the large Sorbus genus. 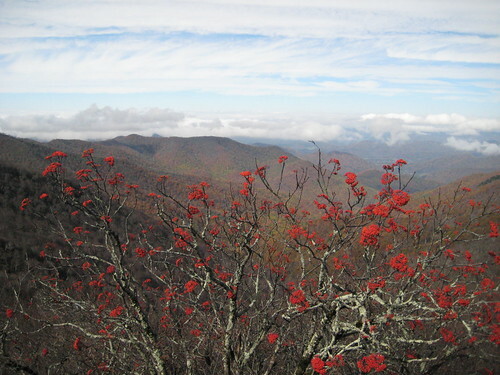 The trees can be quite singular in appearance when shaped by wind on high moors and mountains. At home on high ground. Common in the UK and Europe. Valued for the Rowans ornamental qualities. Berries are great bird food. Rowan jelly made from the berries is a traditional ‘tart’, accompaniment to game and venison. The berries and colourful autumn leaves make this a good and hardy specimen tree. Berries can vary in colour depending on the species from white, yellow, red or orange. 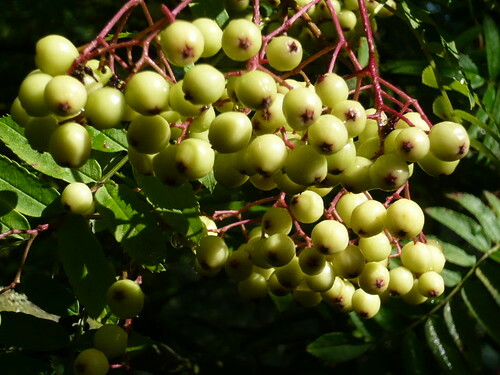 Sorbus is a large genus including hardy trees grown for ornamental qualities that include attractive flowers, ornamental foliage which colour richly in autumn and produce berry like fruit. 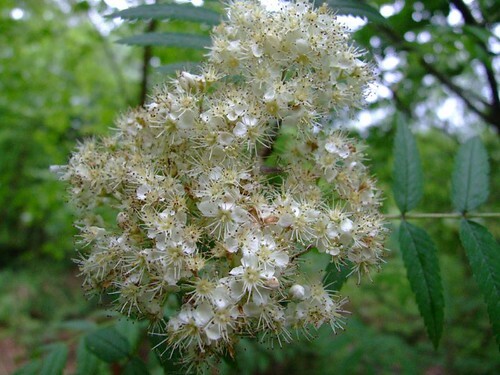 There are 3 sections of Sorbus; Aucuparia sorbus have pinnate leaves with numerous leaflets. Aria section have simple toothed and lobed leaves while Micromeles group are similar to Aria but have deciduous calyces. 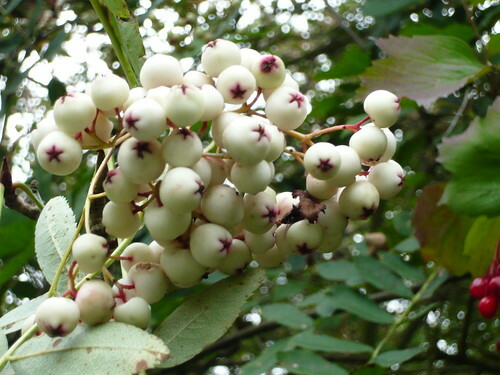 Sorbus aucuparia has 5 sub species and a parent to numerous hybrids. Sorbus aucuparia ‘Beissneri’ and Sorbus aucuparia ‘Fastigiata’ have an AGM. ‘The rowan is also prominent in Norse mythology as the tree from which the first woman was made, (the first man being made from the ash tree). It was said to have saved the life of the god Thor by bending over a fast flowing river in the Underworld in which Thor was being swept away, and helping him back to the shore’. Trees for Life. 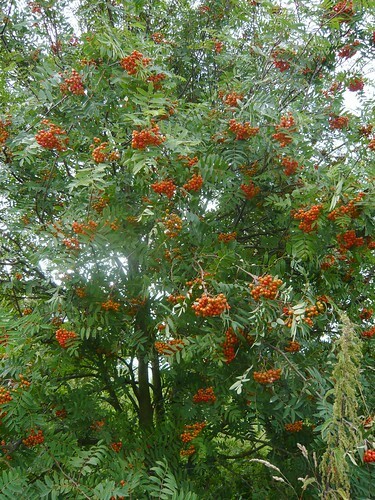 In the UK the Rowan is known as a tree associated with witchcraft, protecting people and dwellings.